Compare baby wipes from Little One’s, ALDI Mamia, Huggies, Curash, Coles Comfy Bots, Johnson’s and Dymples, on their strength & thickness, moisture & effectiveness, value for money, ease of opening & dispensing, scent and overall satisfaction. 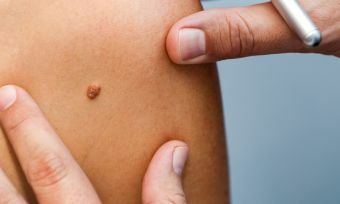 Canstar Blue research finalised in August 2018, published in September 2018. 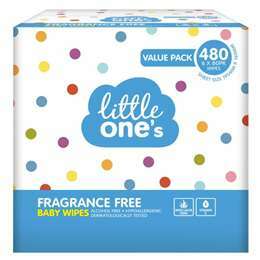 Little One’s has topped Canstar Blue’s 2018 review of baby wipes for the second time in succession. Exclusive to Woolworths, Little One’s rated five stars on strength & thickness, moisture & effectiveness, value for money, plus ease of opening & dispensing. 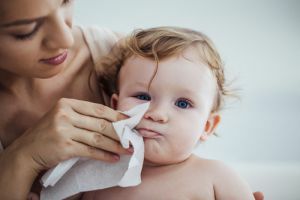 Baby wipes are often more than meets the eye – from wiping bottoms to wiping kitchen benches, busy parents don’t leave the home, or the supermarket, without them. They might forget the keys, but mums and dads will never forget to pack baby wipes. It’s incredible just how messy young children can get – so wherever baby goes, baby wipes will need to follow. Dirty hands, dirty faces, messy highchairs, and just about anything touched by your little bub will surely be left sticky, so you can be sure you’ll need them wherever you go! 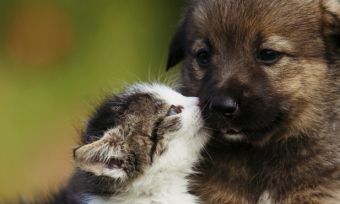 However, there can be a big difference between good and bad baby wipes. From the packaging design to the moisture and strength of the wipes themselves, parents can easily spot a shoddy baby wipe a mile off. Baby wipes must be reliable, durable, and easily accessible at a moment’s notice. 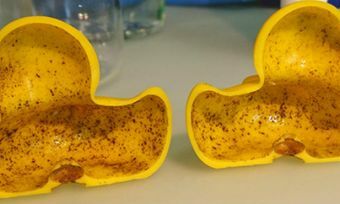 If they’re not moist enough to effectively clean those mystery sticky substances off your child’s hands, then forget it. Likewise, if they’re too darn difficult to remove from the pack with just one hand while you’re holding a baby covered in food in the other, you can also forget it. So, where can you find the best baby wipes? 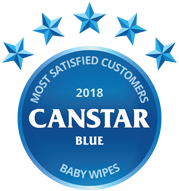 To offer some guidance, Canstar Blue annually surveys mums and dads across Australia, to find out how they rate various baby-related products, from disposable nappies and baby wipes to baby monitors and prams & strollers. When it comes to baby wipes, seven leading brands have featured in our 2018 review, with Little One’s rated highest for overall satisfaction – a fantastic result for Woolworths. The Woolworths brand was the only one to rate five stars for overall parent satisfaction, in addition to achieving five stars for strength & thickness, moisture & effectiveness, value for money and ease of opening & dispensing. It received a solid four stars for scent. Its range starts from as little as $1.60 for a pack of 30, going up to $10 for a pack of 480. 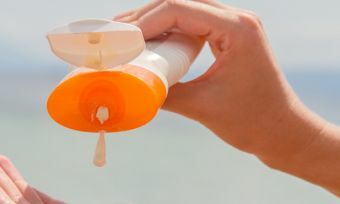 ALDI Mamia, Huggies, Curash and Coles Comfy Bots received four stars for overall satisfaction while Johnson’s and Dymples were left with three. Other brands are available, but these are arguably the major brands in Australia. Little One’s was not the only brand to score top marks in a specific area as evident in our ratings table above. To help you decide which baby wipes might be best for your baby – and budget – let’s assess each factor separately. Our research identified strength and thickness as being the most important factor in shaping overall parent satisfaction. Baby wipes need to be strong and thick – tough enough to battle even the messiest of baby messes, be it from nappies, dinner, or a play in the garden. Given that baby wipes are a tool to conveniently scoop up mess, as well as absorb it, a torn baby wipe is next to useless. Little One’s and Curash were the only two brands to achieve five stars for strength and thickness in our 2018 ratings, with ALDI Mamia and Huggies behind on four stars. It was just three stars for Coles Comfy Bots, Johnson’s and Dymples. The effectiveness of baby wipes is largely determined by how moist they are and therefore how well they fulfil the task of cleaning up mess. Baby wipes that just don’t pack the same level of moisture will almost certainly be of less use to parents cleaning up after their little ones. While parents can obviously help themselves by keeping the packaging closely sealed, to avoid wipes drying out, some brands are simply better in this department than others. Little One’s and Huggies were the only two brands to rate five stars in this area, followed by ALDI Mamia, Curash, Coles Comfy Bots and Johnson’s with four stars. Dymples scored just three stars. Baby wipes might be a relatively low-cost item in the grand scheme of things, but that doesn’t mean you should pay more than you need to. Consider how often you buy baby wipes and you will realise the cost can quickly add up. If you think you’re getting your money’s worth, that’s great. But if you think you’re paying over the odds for what you’re getting, it may be time for a change. Supermarket brands ALDI Mamia and Little One’s were the only baby wipes to rate five stars on value for money, ahead of Coles Comfy Bots and Dymples on four stars. It was three stars apiece for Huggies, Curash and Johnson’s. This factor is a lot more important than you might realise. Think about it, what good is a nicely moist, strong and thick baby wipe (that you purchased at a reasonable price) if you can’t get the thing out of the packet quickly and easily when you need it most? Opening a packet of baby wipes is often a challenge in itself given its tight seal to maintain the moisture. If you’re a savvy mum or dad, you’ll make sure you have a packet or two open around the house for when they’re called upon. If you don’t, trying to open a new packet amid the madness of mess and screaming kids is a recipe for disaster. Little One’s and Huggies were rated five stars in this department, followed by ALDI Mamia, Curash and Johnson’s with four stars. Coles Comfy Bots and Dymples rated three stars. Some baby wipes come with no scent, but others seem to put a lot of effort into it. While scent won’t have any impact on the cleaning performance and reliability of baby wipes, you’d rather have a packet smelling pleasant than not. Huggies was the only brand to rate five stars on scent, with Little One’s, ALDI Mamia, Curash and Johnson’s scoring four stars. Coles Comfy Bots and Dymples got three stars. 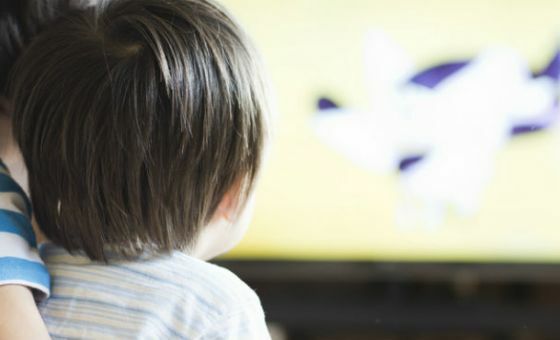 Canstar Blue commissioned I-view to survey 1,300 Australian parents across a range of categories to measure and track customer satisfaction. The outcomes reported are the results from customers within the survey group who have purchased and used baby wipes in the last three months – in this case, 1,199 people.